Have you ever struggled coming up with ideas for your next blog post? You look at your canvas, blank page, or Word document and just stare. Unfortunately, coming up with ideas for content is an industry-wide challenge that can only be solved with persistence. To create a blog post that people will love as much as Kanye loves Kanye, you need have a great idea for the topic and the story you’re going to share. I’m going to share four resources I use for finding inspiration when I’m in a rut. You can start using these tools and resources to find inspiration for your next blog post right now. One of my favorite question and answer sites, Quora, is a great resource for finding inspiration for your next blog post. It’s a site where people ask questions under a specific topic and receive answers from the community. 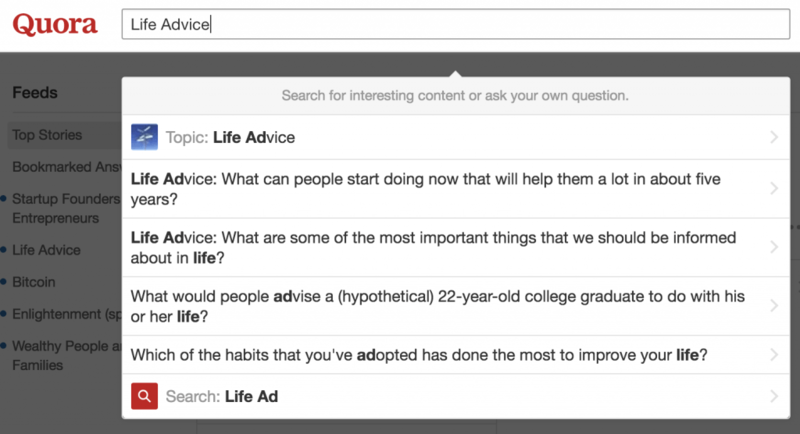 Once you find a topic like “Life Advice,” click it, and you’ll be met with a feed of questions that people have asked about the topic. Under this particular topic, there have been 128.6 thousand questions asked. That’s more than 120,000 questions that you can use for inspiration as it relates to your next blog post. While forums as a medium have been around for years, they can still offer some great inspiration for content. People from all walks of life are contributing on a daily basis to online forums. From here, you can find out what topics generated the most discussion and interest. Leverage these insights to come up with your next great blog post. 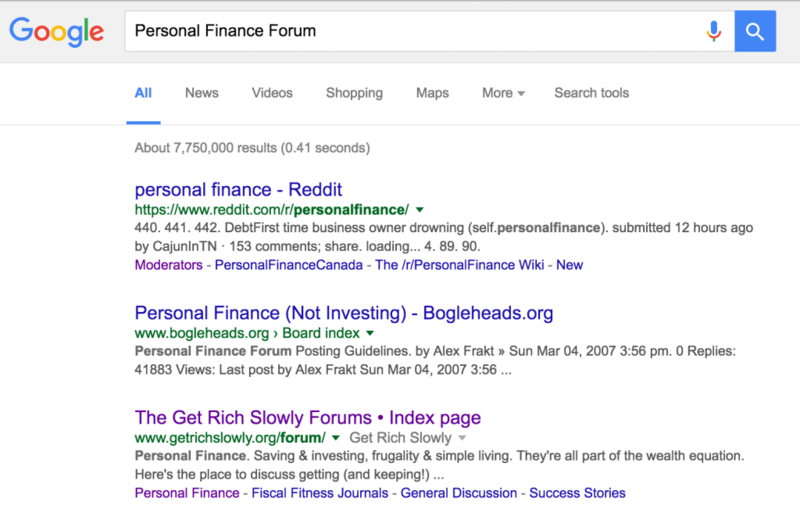 Many consider Reddit the “front page of the internet.” It’s a channel where people submit links, discuss them, and post their thoughts on a variety of different topics. 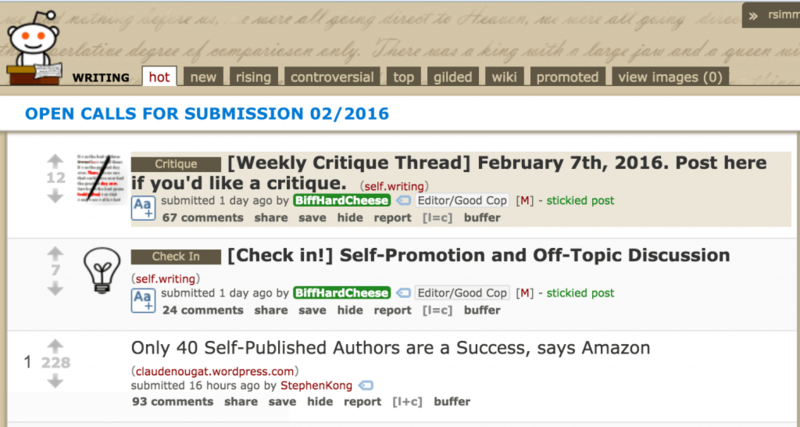 The layout of Reddit is very similar to forums, with a main post that users can comment upon to take part in an ongoing conversation. Crate is a free tool for content curation but can be used for finding content inspiration, as well. To get started, you upload keywords, Twitter handles, or domains that would typically share or cover content of interest. 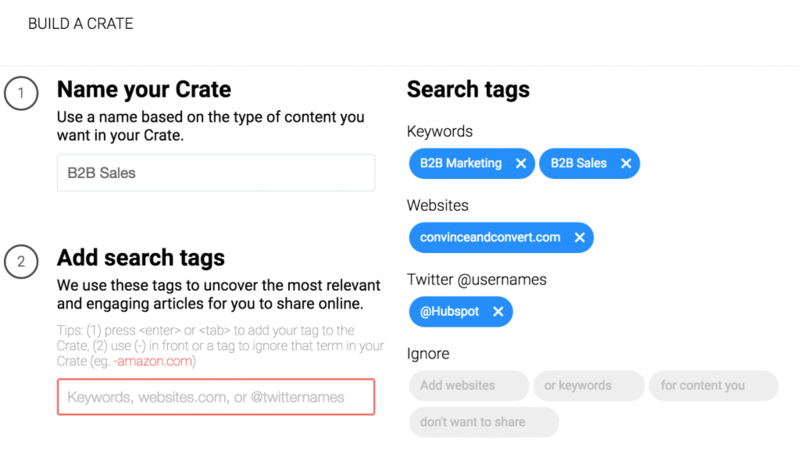 Crate then identifies relevant articles that include those keywords, content shared by those handles, or content found on the domains you upload. 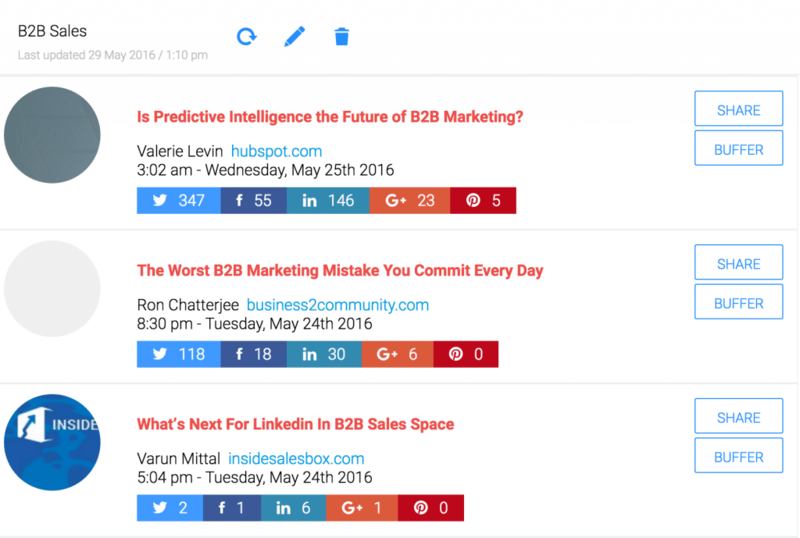 You can use this feed to gain inspiration for the types of content that people want to read. It identifies how many shares the various links have generated to help you better gauge the quality of each article and how people responded. For example, the last link is about “What’s Next For LinkedIn in the B2B space.” As a marketer, I could put a unique twist on this by crafting a post highlighting what’s next for Snapchat, Slideshare, Twitter, and even Facebook. 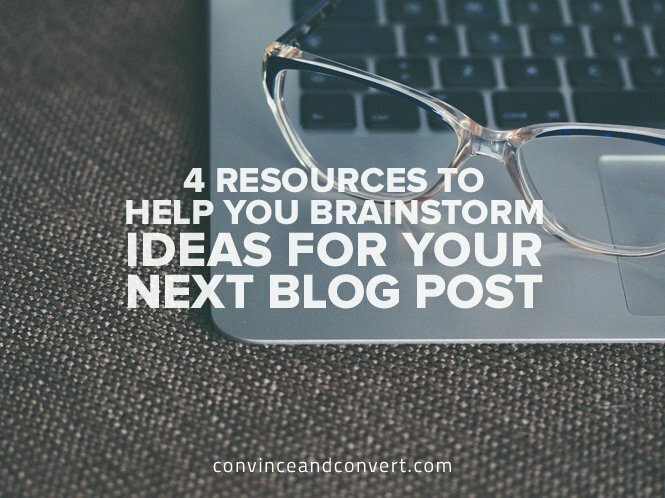 That’s four great blog post ideas! Start by creating a list of your ideas. Craft titles in a Word document or spreadsheet, and make them count. Review your list after coming up with 20 or more different headlines. From there, find the topics you like most, and start working on a blog post you know will stand out. What do you use for inspiration? Tell us below!